CHAPEL HILL -- There have been no reports of gun-wielding lunatics prowling the streets of this quaint university town. 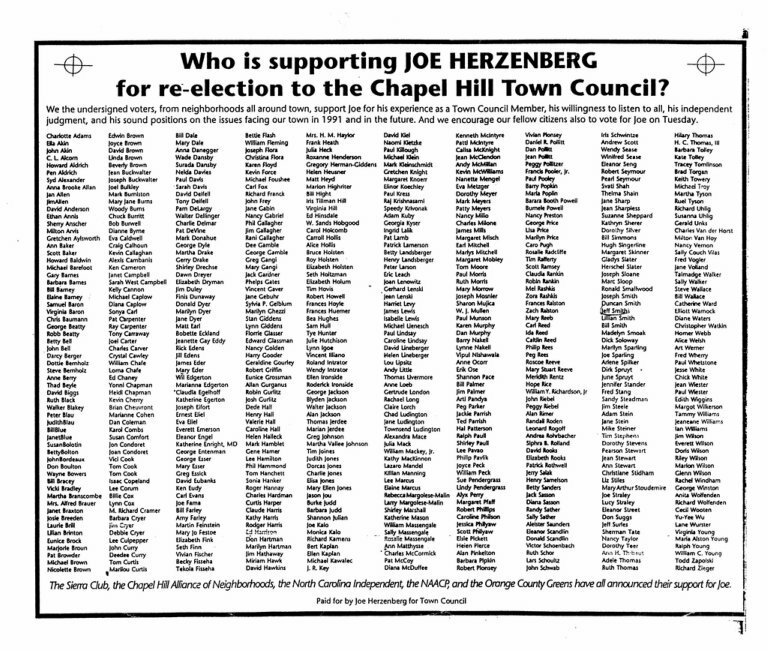 But Town Council member Joseph A. Herzenberg, renewing his call for the toughest gun-control rules in the state, is intent on making Chapel Hill gun-free -- and testing the Second Amendment right to bear arms. Herzenberg began his campaign for stricter limits two years ago, when he proposed banning or regulating the sale of guns within the town -- moves rejected as violations of state law and the U.S. and North Carolina constitutions. Now he's taking a more cautious tack, aimed at preventing people from carrying firearms in public places. "I didn't think we could go as far as I wanted to go," said Herzenberg, who has asked the town attorney to draw up an ordinance restricting guns in Chapel Hill as much as the statutes and constitutions will allow. If Herzenberg is frustrated, local gun owners and members of the National Rifle Association are outraged. They think the council member has gone too far. To them, what Herzenberg describes as a "symbolic measure" in the low-crime town of Chapel Hill constitutes a blatant attempt to step on their right to bear arms. "I am all for the registering of firearms, the waiting period for the purchase of handguns, and I would even support a waiting period for rifles and other firearms," said Mark Fisher, of Chapel Hill, who owns several guns for hunting. "Those things would actually do something, but a law like this on the books would be frivolous. Mark Stone, owner of the Colonial Gun Shop in Hillsborough, one of the largest gun dealers in Orange County, refused to comment on Herzenberg's efforts. Instead, he called the NRA and asked one of their spokesmen to intervene. Ed Klecka, in the NRA's communications office in Washington, said in turn that he could not discuss Herzenberg's proposal until it is formally presented to the Town Council. But he did say that while state laws and the state constitution forbid municipalities from passing ordinances to govern the purchase, sale and possession of firearms, the ability of municipalities to control the carrying of firearms is more ambiguous. "There are real limitations on the statutory authority of towns to regulate guns," said S. Ellis Hankins, executive director of the N.C. League of Municipalities. "A city that is interested in going further may well need some legislation, and that wouldn't be easy." 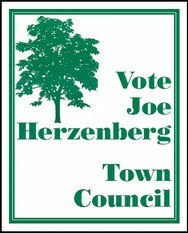 But citing state law that prohibits guns in school yards and on college campuses, and a town ordinance that makes it illegal to carry a gun in public parks, Herzenberg said he thinks his latest proposal is well within the council's purview. "I have no illusion that legislation in this area is a cure-all," he said. "However, I know that if you make it against the law to carry a gun in town hall, people may be less likely to carry a gun in town hall." "This is a good symbolic measure. It can raise the public consciousness about guns, and it can also have some deterrent effect. We like to think of ourselves as a peaceful town, but four people were killed last year, and if we can save one life, we've accomplished a lot." CHAPEL HILL -- You've seen them -- on Franklin and North Columbia Streets, in Eastowne, on campus or near Broad Street in Carrboro. On foot. In pairs or alone. Dogs in tow. Briskly moving along, or strolling casually. The walkers of Chapel Hill are restless regulars on the sidewalks and pathways. They like the fresh air, the chance to commune with nature, or to brush the cobwebs from their minds. 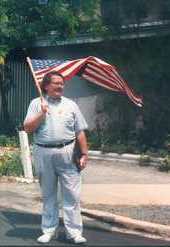 Some, such as Town Council member Joseph A. Herzenberg, refuse to own cars and walking is their form of transportation. "It's a statement of sort," Herzenberg said. "I think too much of our life and world is dominated by private automobiles. Some people couldn't live without them." Herzenberg, who saunters downtown, views exercise as a byproduct of walking. More importantly, it's a great way to socialize and keep abreast of the latest news. 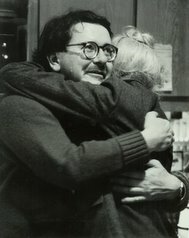 "I never quite learned to leave home early enough to get someplace on time," Herzenberg said. "I'm frequently interrupted, but that's OK."